There are plenty of PDF readers out there, but if you want to create a PDF file from your document, you will need a PDF creator more than a PDF reader. 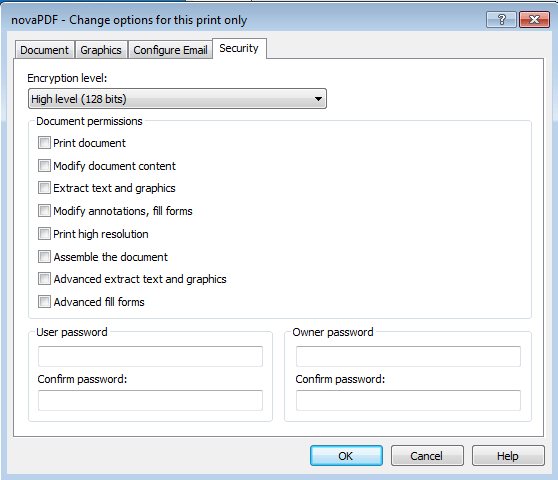 In Windows, there are several PDF creator software that are binded to your printer protocol. Instead of physically printing to the printer, you are sending the print job to the PDF creator where it converts your document to PDF format. 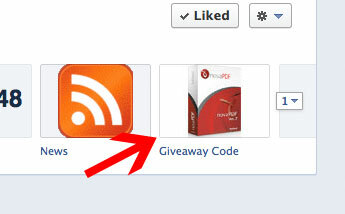 One such software is the NovaPDF Professional, and yes, we have a giveaway event for this premium software. Read on for more information. NovaPDF Professional is a software for Windows that allows you to convert your documents to PDF format. It also comes with features like sharing, send email after conversion, password protection, links preservation, font embedding and many more features. Once you have downloaded and installed the application, you can easily convert your documents by selecting the source file and clicking the “Create” button. 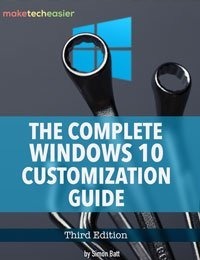 A window will then pop up to allow you to configure the options before the PDF conversion. 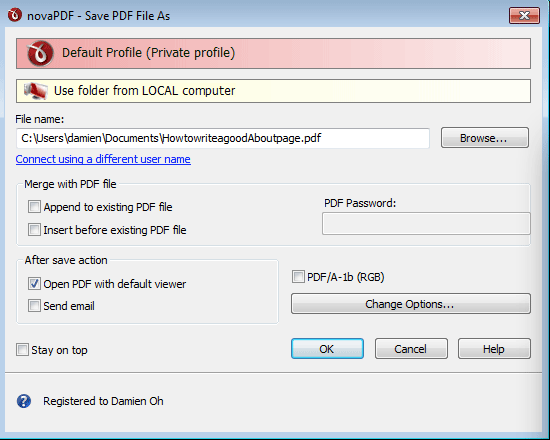 From here, you can merge this file with another PDF and whether to append to the existing PDF or insert before it. In addition, you can also select the “Send Email” checkbox to get it to send yourself an email once the conversion is completed. Advanced options include setting the password and encryption level, compression ratio for images, and editing document properties. 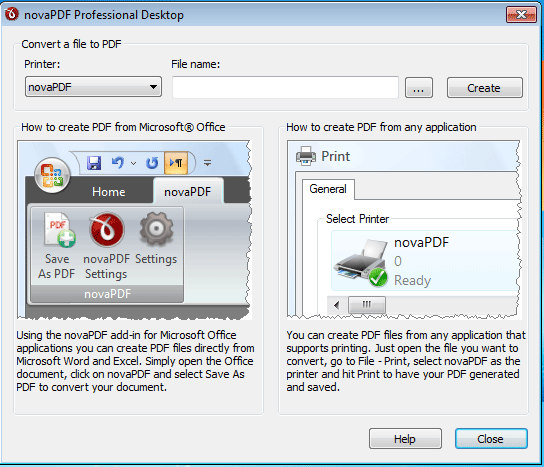 NovaPDF also integrates itself with Microsoft Office so you can print directly within your Office apps. 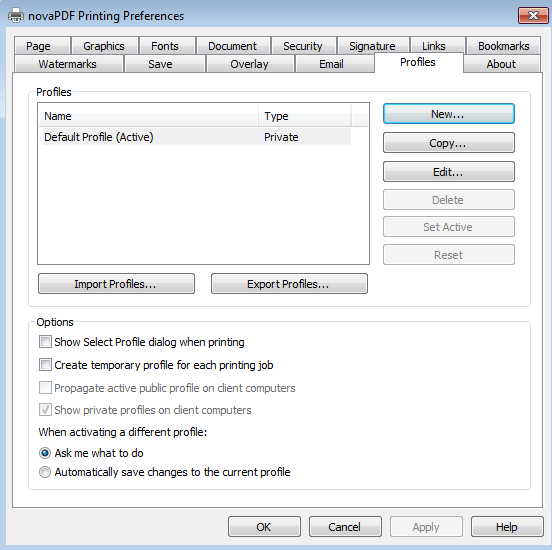 For other applications that support printing, you can easily access NovaPDF via the Print option. This is not easily visible, but if you go to “Control Panel -> Devices and Printers -> NovaPDF -> Printing Preferences”, you will find that there are plenty of configuration options that you can play with. Among them all, the one I like most is the ability to create multiple profiles for different print jobs. This is useful if you need to do PDF conversion on a regular basis. Contest ends August 13, 2012. Thanks for the opportunity to get a useful program for everyday work!!!!!!!!!!! Thanks to Maketecheasier and NovaPDF for this great contest and this chance! Regards.